Situated at the centre of Playa de Las Americas, next to the sea and with direct connection to the seaside promenade, H10 Las Palmeras is a wonderful family-friendly retreat surrounded by lush, subtropical gardens. 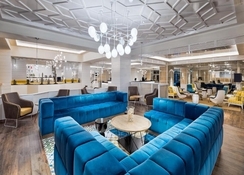 Recently refurbished by the well-known designer, Lazaro Rosa Violan, the Tenerife hotel has bright décor with a maritime feel, along with a host of new, quality services. H10 Las Palmeras offers 2 adult pools, 1 children’s pool, an indoor playground, 4 tennis courts, a fitness centre and a boutique. There is also a variety of specialised restaurants, cocktail bars and coffee shops, serving oriental cuisine, international dishes, plus specialty teas and coffees to guests. The hotel is actively involved in creating a fun-filled and entertaining environment for children. The Daisy Club is a place where your kids can play in a safe environment, while parents soak up the year-round sun poolside. The hotel's 519 rooms provide amenities suitable to all types of guests, with a range of double, junior and family rooms available. Want to explore the surrounding area? 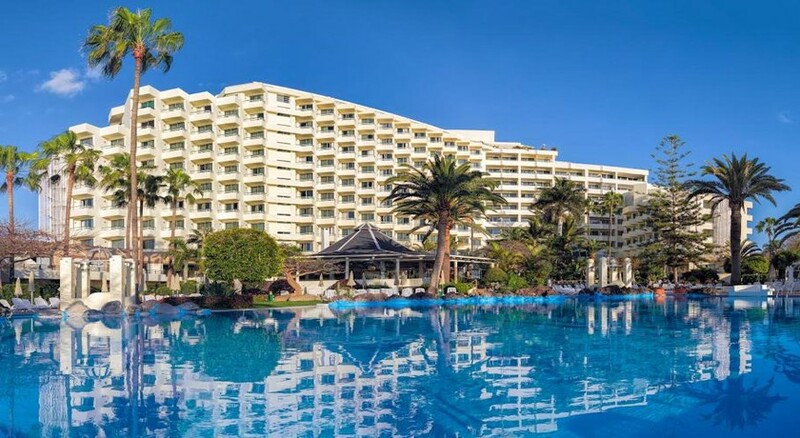 H10 Las Palmeras is close to a sandy beach, 2.5km from exciting Siam Park and approximately 3km from neighbouring Puerto de Los Cristianos - making it a perfect base to see more of the Canary Island. 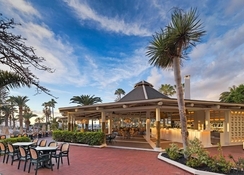 H10 Playa de Las Americas is situated in Playa de Las Americas on the southwest side of Tenerife - the largest island in the Spanish Canaries. The inviting beach is walking distance from the hotel at 600m, so is the bustling promenade. The nearest airport is Tenerife-South Airport, which is 15km away. The hotel has 519 rooms, which come in various categories: City View Double Room, Sea View Double Room, City View Junior Suite, Seaview Junior Suite, Family Room, Sea View Privilege Double Room, Sea View Privilege Double Suite, Seaview Privilege Double Room, Sea View Privilege Junior Suite and Sea View Privilege Family Room. 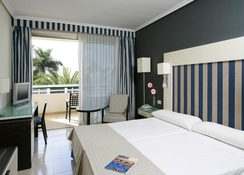 Recently renovated, all the rooms are stunningly decorated and a have a contemporary feel to them. Equipped with en-suite bathrooms and balconies, the rooms ensure a pleasant and comfortable stay. Restaurants of the hotel offer a variety of international cuisines, oriental dishes and specialty beverages. H10 has a total of 5 restaurants and 4 bars, including Garoe Restaurant, serving breakfast and baked goods, Sakura Teppanyaki Restaurant, offering Japanese delights and Speccchio Magico, serving authentic Italian dishes. La Ballena serves light dishes and La Choza Bar Restaurant serves cocktails and light lunch. The newly renovated Mike’s Coffee offers specialty teas and coffees, while Imagine Bar is great for cocktails, along with live performances to enjoy. The hotel has plenty of options for swimming, indoor sports and tennis. Fitness enthusiasts can also sweat it out at the in-house gym. 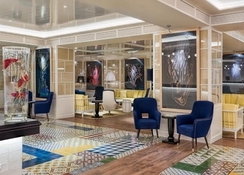 There is also a Privilege Lounge (exclusively for members), where guests can enjoy reading the newspaper, browsing the net and relaxing on the terrace, equipped with a Jacuzzi, sun beds and matching sea views. 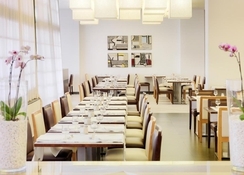 Members can also sample an a-la-carte breakfast at Speccchio Magico Restaurant. Nice hotel in a nice location. Staff were friendly and polite, food was good, pools were clear and a good size. Location was great, 30 seconds from the beach.